Rank 'Em Up, WTF Is This? Girl Scout Cookies are a thing that everybody forgets about loving until the day they go on sale again. [Ed. note: Think I’m kidding? Tell me what day they go on sale. You can’t, can you? It’s the most ambiguous time of year.] After that? Look out. Frenzy time. People buy boxes and boxes; they freeze them, they share them, they talk about them and they write about them. When the supplies dwindle, there’s a little bit of lament, then we go back to jammin’ on Oreos, E.L. Fudges and Girl Scout Cookie facsimiles, until the next season comes around again. Rinse, repeat. I know enough about my levels of self-control to know what will happen when I bring them into the house: a sleeve becomes a serving size. A single bar, though? Not a bad way to get your fix, be it on account of withdrawal or abstinence. Nestle offers Girl Scout Cookie-themed Crunch Bars typically in the May-August months, though they’re less like Crunch Bars and closer to a Reese Stick or a Kit Kat in their wafer-based nature. This bar tastes like if there were a romantic comedy where a Little Debbie Nutty Bar stars as a clumsy-but-lovable man boy who accidentally conceives a child with the uptight Reese’s Sticks after a boozy post-kickball happy hour — even though they couldn’t be more different — then end up falling in love and raising the child candy bar, only if that bar was played by the same kid who played Anakin Skywalker in Episode I: The Phantom Menace and only did a serviceable job, so you really were left wishing that you had just reached for one of his parents. A Reese’s Sticks or a Nutty Bar would both have been better, but I have to say that if that pod racing part is on, I watch it every time. Caramel DeLites were always my favorite growing up, and I think that the Caramel & Coconut is my favorite of the Girl Scout Cookie Crunches. 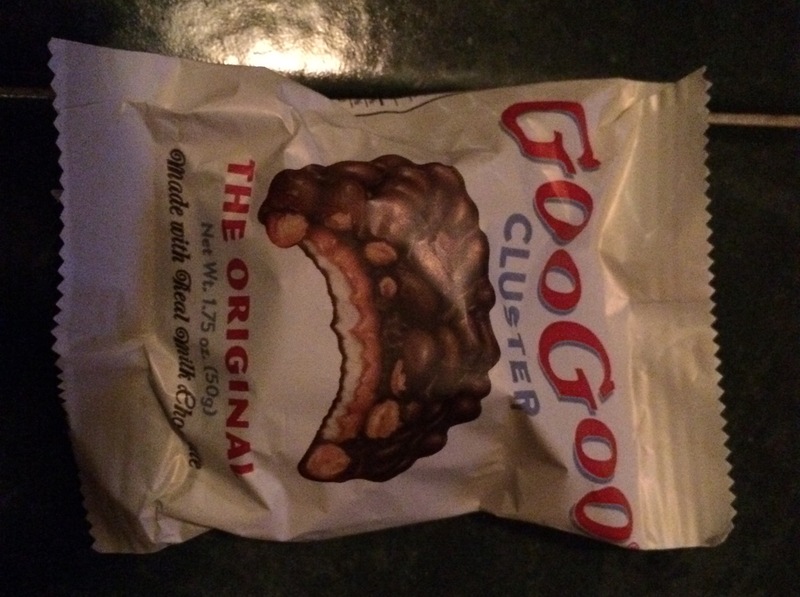 Friends Alex and Abby Bar recently returned from a trip to Nashville, and since they love me and have somehow not grown sick of Drunk Uncle Carp coming over and playing with their dogfriend, brought me back a regional gift bar: the Goo Goo Cluster. It seems the Goo Goo Cluster has some historical significance, with a 100-plus-year legacy and an accompanying infographic. In 1912, in a copper kettle at the Standard Candy Company at Clark & First Avenue in Nashville, TN, the world’s first ever combination candy bar was invented. A roundish mound of caramel, marshmallow nougat, fresh roasted peanuts and real milk chocolate; its renegade shape was more difficult to wrap than the conventional rectangular or square shapes of the day. 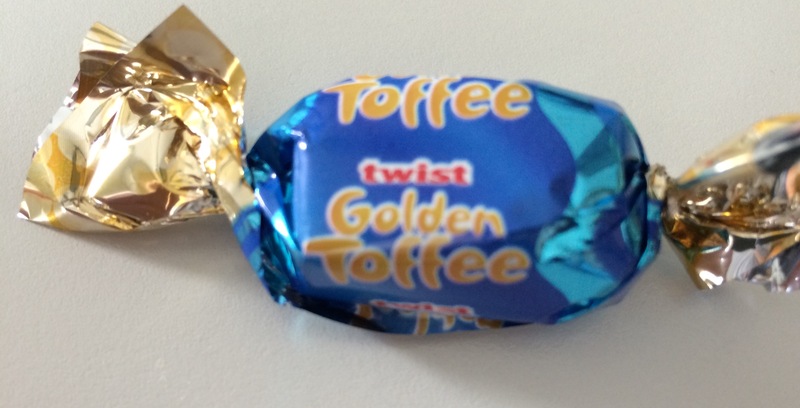 More importantly, this was the first time multiple elements were being mass-produced in a retail confection. Previous to the advent of the Goo Goo Cluster, candy bar manufacturing consisted of bars solely using chocolate, caramel or taffy. 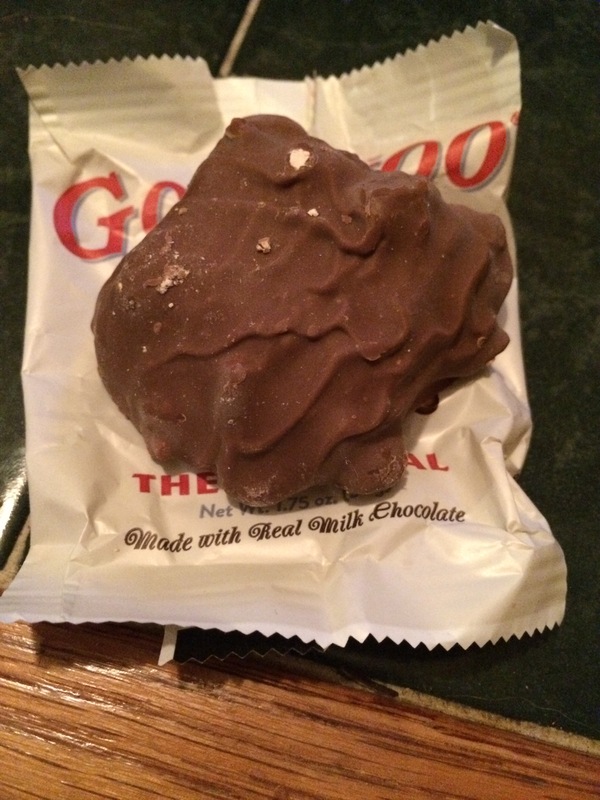 The Goo Goo Cluster represented the first time a bar consisted of more than just one principal ingredient. which, if in fact true [Ed. note: This is quite a boast. 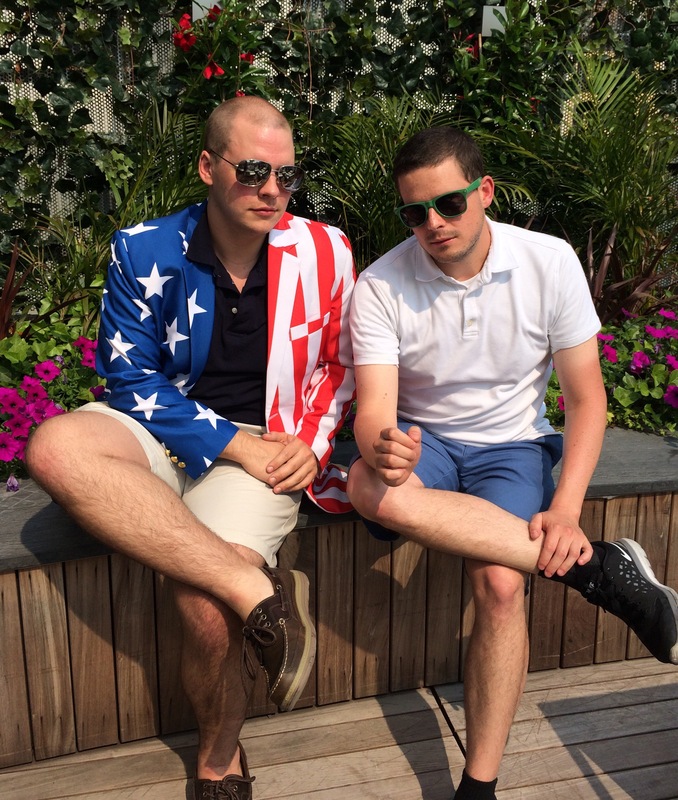 ], is really something, and laid the groundwork for the Snickers, the PayDay and the candy bar scene of today. The bar itself was a lovely wad of flavors, with chocolate, caramel, peanuts and a most impressive layer of marshmallow nougat. It was a hearty wad, but not an unbalanced one: multiple textures, a hint of salt and an appropriate level of chewiness. 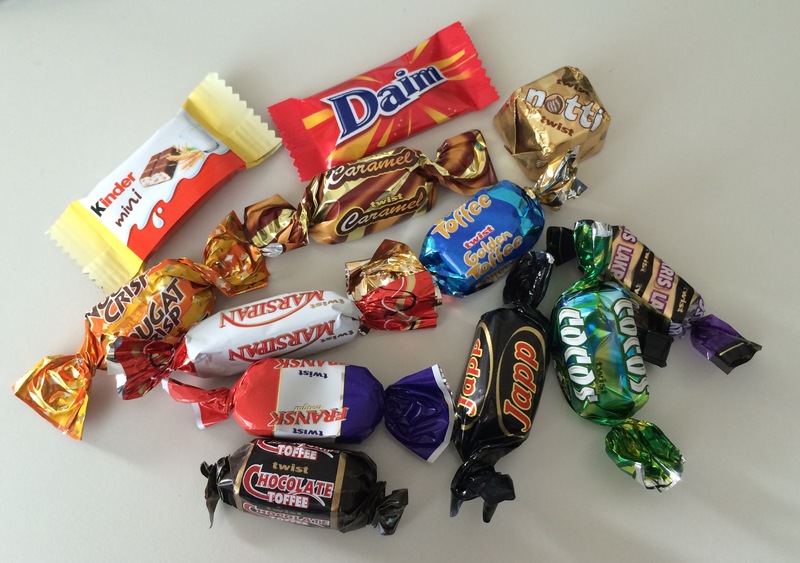 One of the perks of this little adventure I’ve gone on is that my friends seem to love sending me candy bars, especially when they encounter them outside of the borders of the United States of America, be it on a vacation or during a longer-term residence. One of these friends, Kelly Bar, took a journey to Thailand and sent me a care package with all sorts of fun weird candy, along with an accompanying letter explaining the treasure I had just come upon. Kelly, a comrade from a rival team I raced against during my illustrious collegiate rowing career, is currently working her way through her own food-related adventure (a taco-based endeavor she’s dubbed Tacopalooza2015) and is doing a significantly better job than I am, gaining traction by means of actual, legitimate news outlets. “I’m guessing Thai people like nuts incorporated in their chocolate because it’s hard to find any plain chocolate bars. This one also looked fancy. 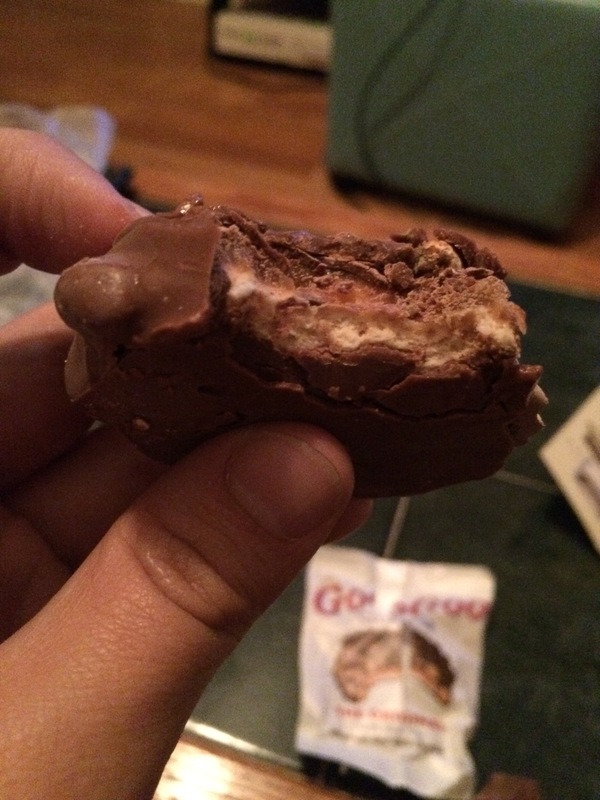 The United Almond is pretty standard: A Thai version of a Hershey’s with Almonds. 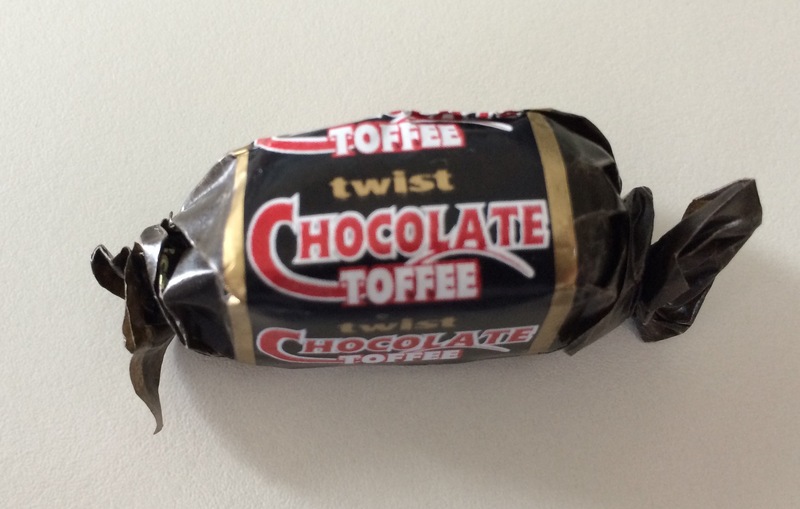 In terms of mouthfeel, the chocolate is a little waxier than I’m used to, perhaps underscored by its packaged description of “almond coated with chocolate flavour”, flavour being the operative word. 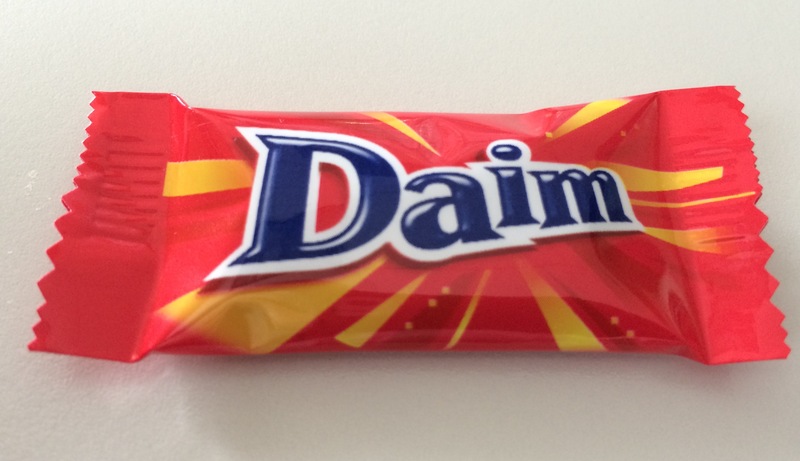 Still, though, a pretty tasty bar. 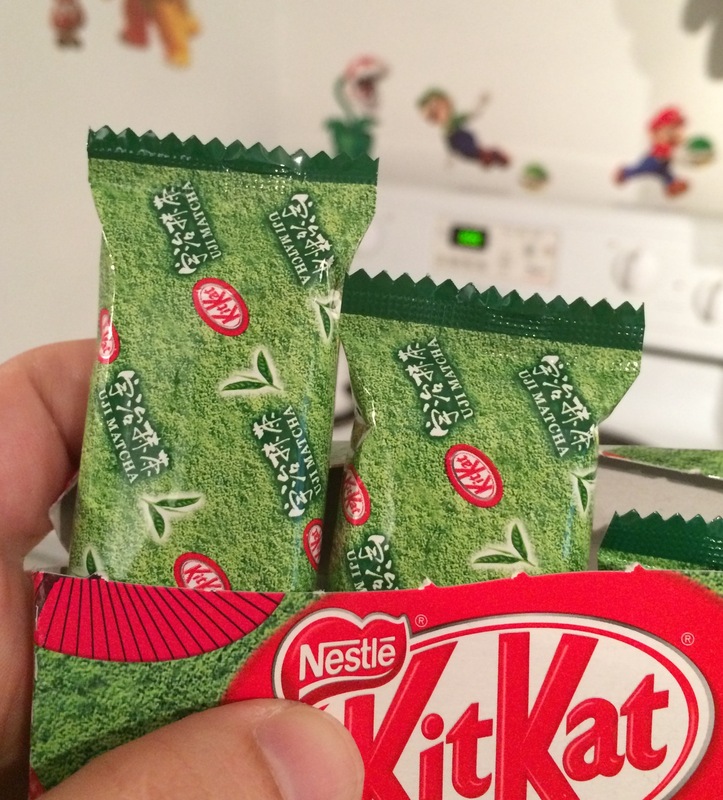 One of the Alex and Abby gift bars, the Green Tea Kit Kat is from Japan. 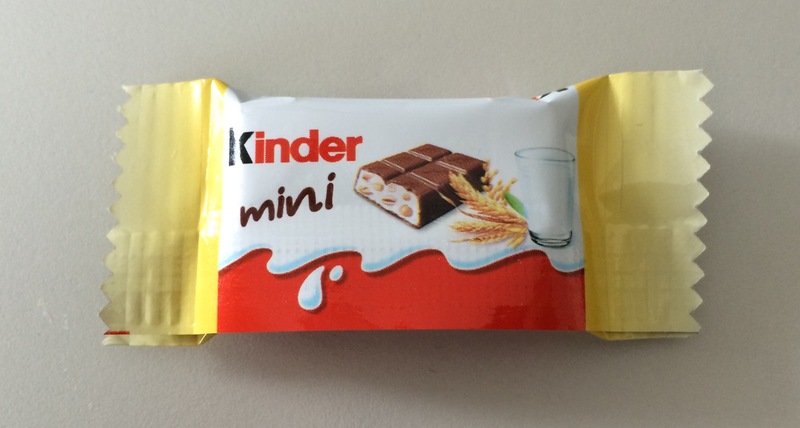 Upon opening the seemingly standard-sized package, I discovered three fun-sized bars inside. I’m not sure whether this is standard-issue packaging for these bars, and I couldn’t get any clues from the packaging because I can’t read Japanese. Gimme a break … gimme a break … break me off a piece and then do it two more times and then wrap them up and package them together as one greater Kit Kat bar. 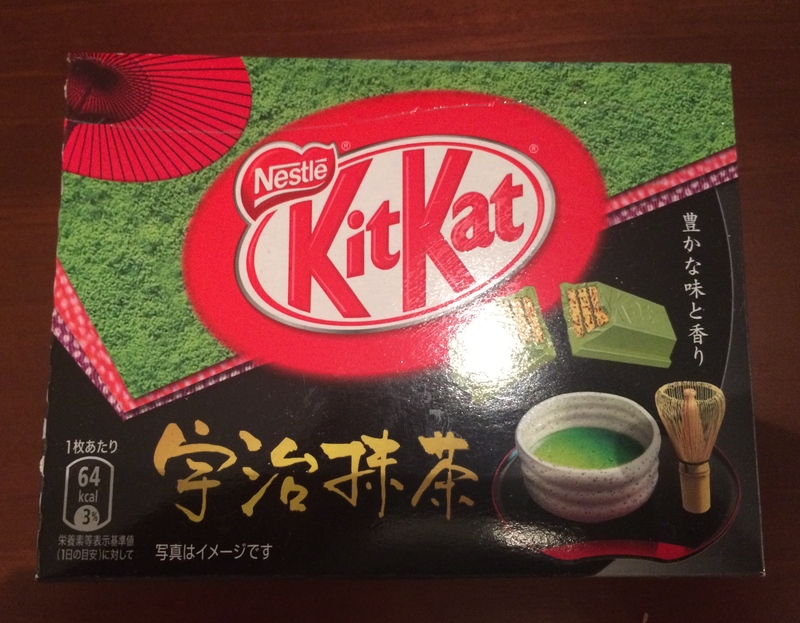 As far as how it tasted, the Green Tea Kit Kat very much tasted like eating a Kit Kat made out of sweet plants. I wanted to like it. But I didn’t.